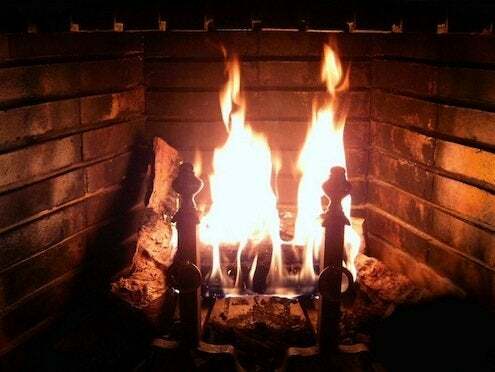 While it’s hard to argue with the romance of a crackling fire on a chilly night, your fireplace might be costing you more in energy dollars than you know. A fire in an open hearth is only ten percent efficient at best, which means that ninety percent of the heat energy you’ve paid for goes up in smoke. Heated room air is drafted up the chimney, so your main heating system actually works harder to keep the house warm. Glass fireplace doors raise the efficiency somewhat but only to about twenty percent. A wood stove or a fireplace insert is a good option, but if you’re tired of shoveling ashes and hauling wood, a gas-burning fireplace insert is an efficient option that also saves space. A built-in fan distributes heat into the room and a thermostat allows you to set a target temperature. One gas fireplace insert can heat a whole small house in all but the coldest weather, which can save you a lot if your main heating system is oil-fired or electric.